Seat has long badged its performance cars as Cupra models, but now, that badge has become its own, standalone brand. The Cupra Ateca is unique at this price point as a practical and comfortable family SUV that also offers plenty of excitement behind the wheel, and speed to match. To get close to it would require something like a Porsche Macan, which is several thousand pounds more expensive. If you want an SUV that does a very passable impression of a hot hatch, then this is where you should start your search. Interested in buying a CUPRA CUPRA Ateca? Looks are a subjective thing, but we suspect the Cupra-isation of the Ateca could divide opinion. 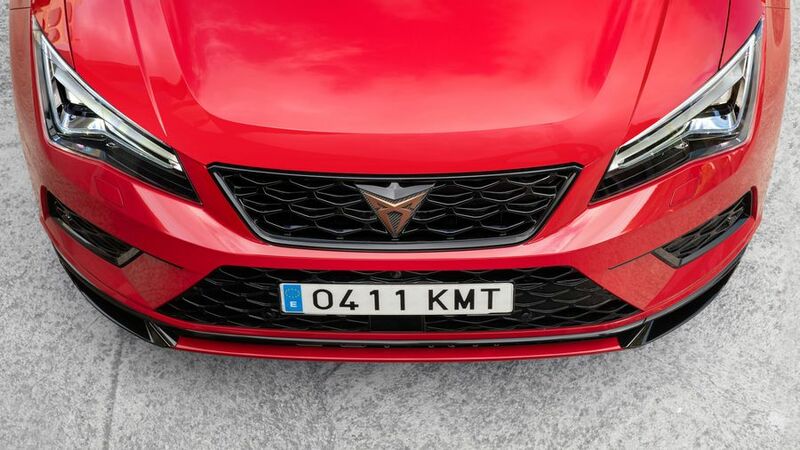 There’s a gloss black honeycomb grille, some serious vents in the rear bumper, four exhaust pipes and copper-coloured Cupra badges, which certainly stand out. There’s just one trim level, but you can opt for various packs that tweak the looks. Super-bright full LED headlights are included, and the standard wheels are 19-inch alloys, but opt for the Design Pack and you’ll get 20-inch copper-coloured wheels over upgraded Brembo brakes. You can choose from six paint colours at no extra cost. The Cupra Ateca’s interior is largely unchanged from the standard Seat-badged car, which is no bad thing. There’s a feeling of quality and solidity, although the Cupra touches, again, may divide opinion. A big copper-coloured Cupra logo dominates the centre of the steering wheel, surrounded by faux-carbon fibre material, which makes further appearances around the cabin. The seats are clad in Alcantara (synthetic suede) and feature an embossed logo and copper-coloured stitching. They’re very comfortable and adjustable, so getting your preferred driving position shouldn’t be an issue. Infotainment comes via an 8.0-inch touchscreen, which you can also operate via buttons and dials, which in our book is easier than a touch-only system. Apple CarPlay and Android Auto are included to connect your smartphone. 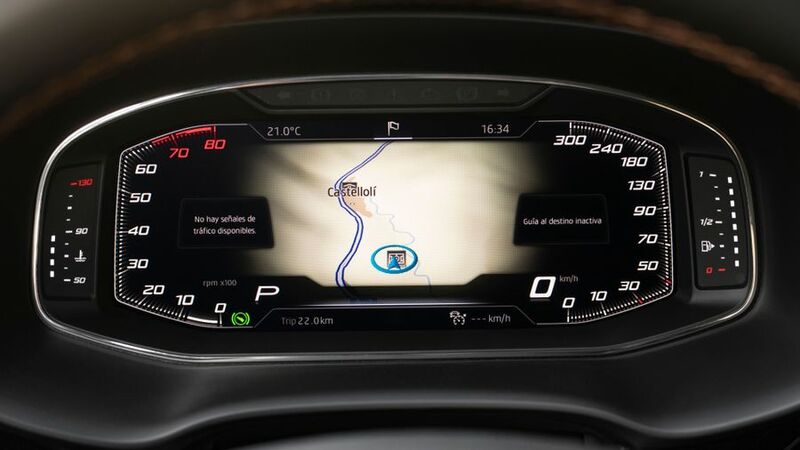 There’s also a digital dashboard that you can customise to your preferred layout. Once again, the Cupra matches the Seat Ateca for practicality with plenty of storage around the cabin and wide-opening rear doors to make getting kids in and out easier. The glove box is on the small side, and the cupholders are different sizes, which can be a bit annoying. But the boot is a good size, even though the Cupra Ateca's standard four-wheel drive means it loses a bit of capacity compared with front-drive Atecas. The rear seats fold down almost flat with the flick of a lever in the boot to allow the loading of larger items. You can easily fit a full-sized bike in without taking the wheels off. The standard Ateca has a rather firm ride, which is the downside to its fairly athletic and entertaining handling, and means that for some families, it's not comfortable enough. So you’d think that the Cupra Ateca, with its even more sporty character, would have even firmer, harsher suspension. But Cupra has installed an adaptive suspension system that can adjust its stiffness with the flick of a dial in the centre console, and in Comfort mode, based on our experience so far, we reckon it rides better than the Seat-badged car. Admittedly, we’ve only driven it on well-paved Spanish roads, so we’d like to subject it to a rainy British B-road to make sure that’s still the case. 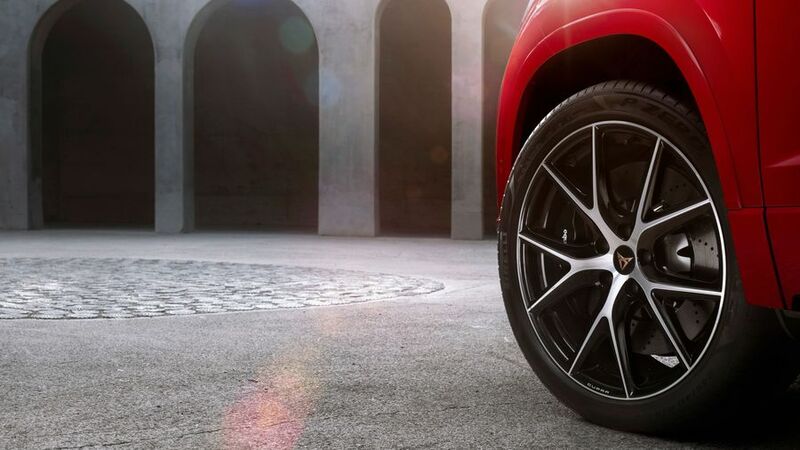 It also benefits from excellent grip through the corners and traction out of them, thanks to a clever four-wheel drive system, and it’s so sure-footed that you could almost forget that you’re in an SUV. Sure, it could be a bit more wild and exciting to pilot, but remember, this is a family SUV as well as a performance car, and it’s a good balance. If we had to nit-pick, then we’d say that the steering could offer a bit more weight and feel to really engage the senses, but overall it’s very impressive. Sure, it’s not quite a hot hatch. But it’s pretty close. 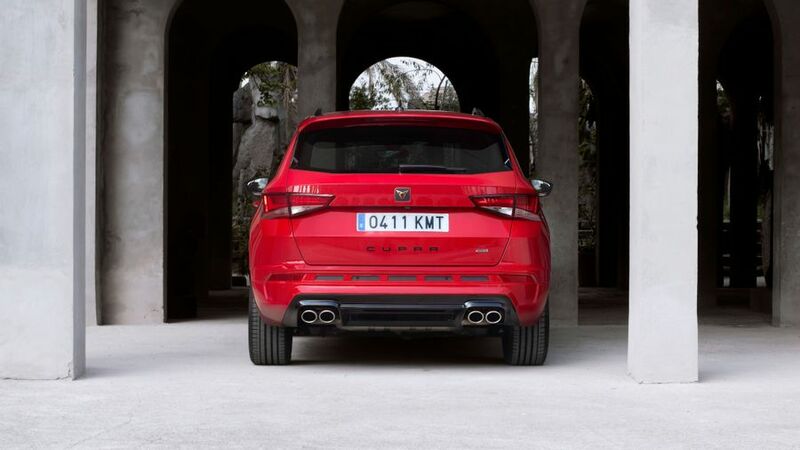 The Cupra Ateca gets its 300 horsepower from a 2.0-litre, turbocharged engine that does regular service in a range of cars from Seat’s parent company, the Volkswagen Group. And it’s a cracker, with fizz and even power throughout the rev range, which means that this family SUV has hot hatch levels of performance. The sprint from standstill to 62mph takes just 5.2 seconds. 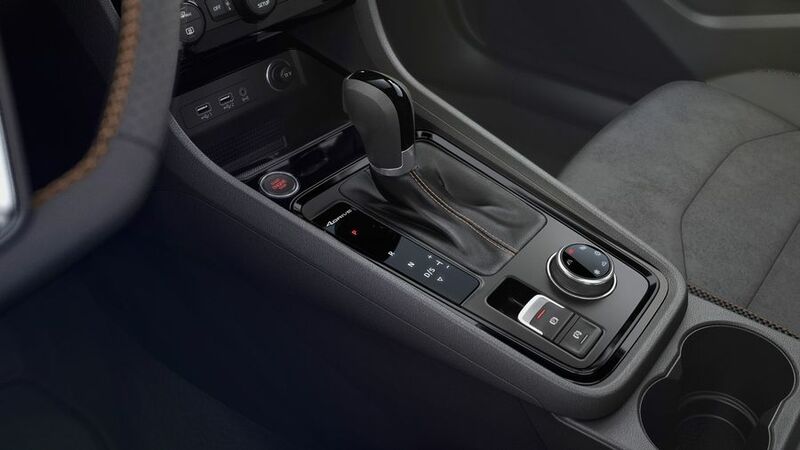 Gears are shifted by a seven-speed, dual-clutch gearbox that's both quick and smooth, either in automatic mode or using the wheel-mounted paddles to shift manually. 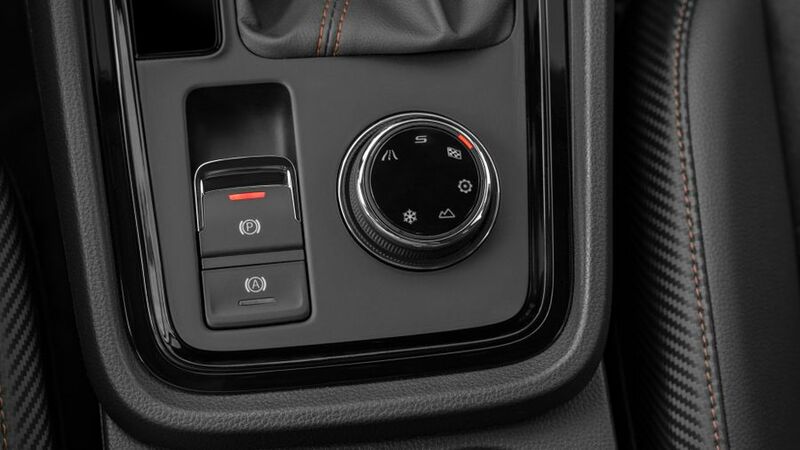 There are three on-road modes for the Ateca – Comfort, Sport and Cupra – and some off-road modes that we’ve not yet had the chance to try. Comfort is, as advertised, designed for everyday use and means the car will do a very good impression of a regular Ateca. 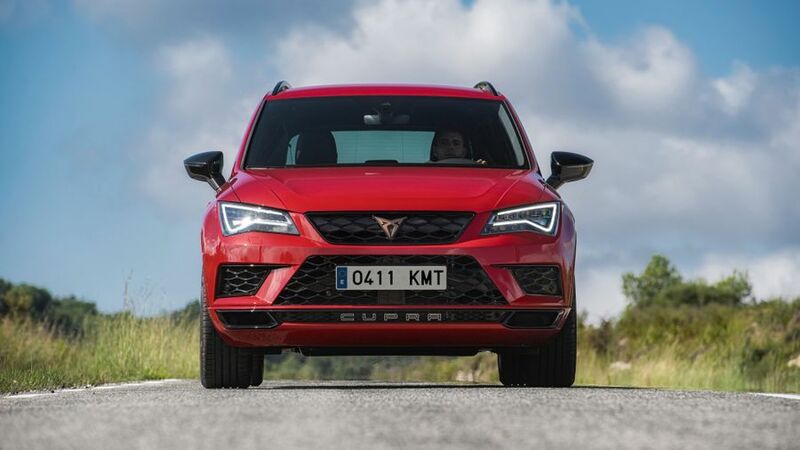 Sport tightens up the suspension, quickens the gear shifts and sharpens the throttle, while Cupra does that, but more so, giving you a high-revving, very quick car that’s a lot of fun to drive. It’s hard to compare the Ateca to any direct rivals, because it doesn’t really have any. Cupra is targeting what it calls the “sub-premium” market, which is more premium than the regular Seat, but stopping short of brands like Audi or Mercedes. 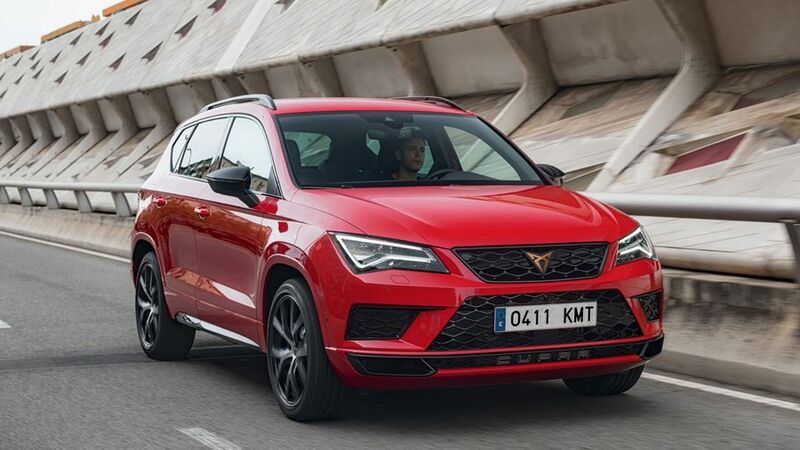 Consequently, the Cupra Ateca is priced at about £10,000 less than other similar-sized performance SUVs, such as the Porsche Macan or Mercedes-AMG GLA 45. Cupra says the Ateca will return around 33.2mpg measured under the new WLTP testing standards. With a new brand, it’s difficulty to know what its resale value will be like, but the Seat version fares pretty well, so we’d be fairly confident that the Cupra model will hold onto its value in a similar way. 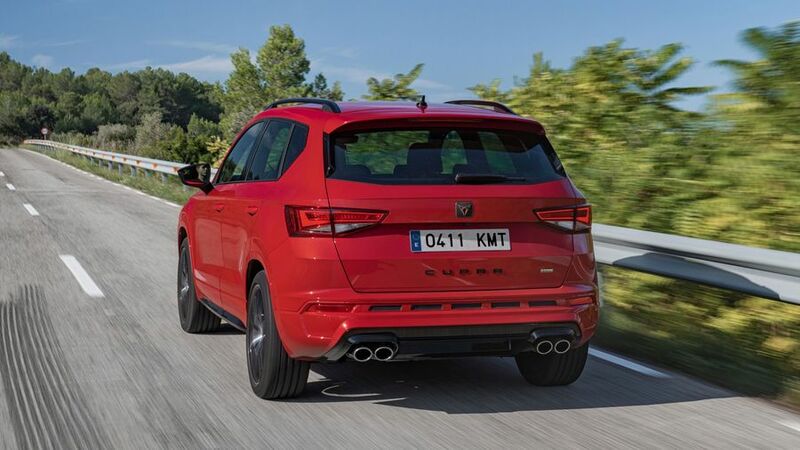 Much of the Cupra Ateca is tried and tested Volkswagen Group technology, and Seat as a brand scored very highly in JD Power’s 2018 Vehicle Dependability Survey, sitting in sixth overall. One can be pretty confident then that the Ateca shouldn’t give you too many problems. Should something go wrong, Cupra offers a two-year unlimited mileage warranty, and three years up to 60,000 miles. You can extend that to four or five years if you order before registration. A care and maintenance package is also included in the price, which includes the first three manufacturers scheduled services, a brake fluid change and the first MOT. The Cupra Ateca retains the same bodyshell as the Seat car that scored the maximum five stars in EuroNCAP crash tests. It’s fitted with seven airbags and Isofix child seat mounting points in two of the three rear seats. Automatic emergency braking is included as standard, as is a driver alert system that encourages you to take breaks on long journeys and warns you if you start to lose concentration. Blind spot detection and a rear cross traffic alert system are optional. Being an almost-premium SUV, the Cupra Ateca is pretty well appointed as standard. As well as the digital dashboard and clever parking camera, you also get keyless entry and start, a wireless phone charger, cruise control and dual zone climate-control air-conditioning, as well as an eight-speaker sound system and automatic lights and wipers. Options include a panoramic sunroof, tow bar and an upgraded BeatsAudio sound system. Because you need an SUV but you still want hot hatch-style performance. 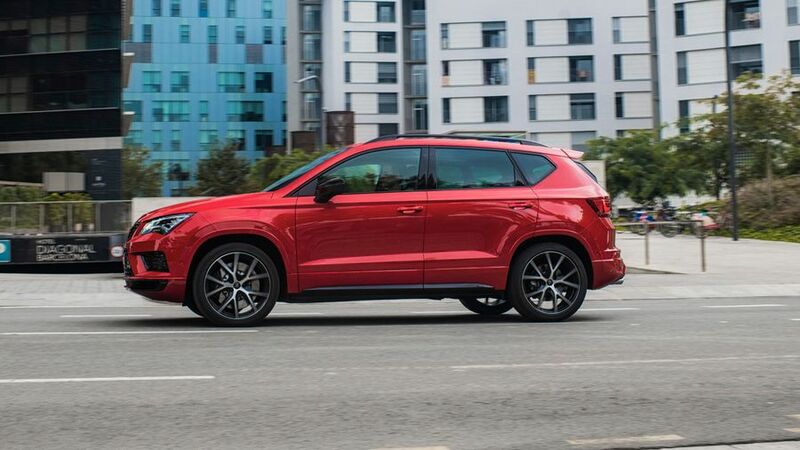 The Cupra Ateca offers all the practicality of an already excellent SUV, but with the type of power and handling that'll put a smile on your face, and all for thousands less than the more premium opposition. If that sounds like your cup of tea, then get down to the Seat showroom and ask to visit Cupra Corner.